Blessed Being, your awareness and focus are a powerful catalyst of creation. Your consciousness is a vehicle of Life, and as you perceive life, you conceive it. What expectations do you have that set you on a path of recreating patterns from the past? As you open your heart and mind to a Fresh Focus, you allow a new creation to form more easily. We want to take you beyond just thinking positively, for as you have observed it is not a complete system of change. It is important to use your mind toward positive focus, but you must find vibrational resonance with it on a foundational level. Rather than just thinking positively, begin to think in possibilities and potentials. For some, positive thinking will create a pattern of avoidance as they avoid making internal and behavioral (external) changes. Rather than find forgiveness and peace with a situation, they will avoid change and try to focus the mind on positive thoughts about it. This creates a pattern of internal control that seeks to manipulate an expected outcome with the power of thought. This is a pattern of avoidance of personal change. Life will always call you toward growth. Potential and possibility are what the future offers. The future responds to your present vibrational resonance, the core and the totality of your vibration. Therefore a vibration of avoidance creates a response to bring balance to what is being avoided. This is Life calling you toward growth. When you think with possibilities, you are creating a Fresh Focus. You are allowing a fluidity to the structure or boundaries of creation, and new potentials can form. You are softening the fears that create a survival mechanism of seeking to avoid a challenge. You are opening to the ease of natural law. You are becoming patient with change for there is no fear creating resistance with a moment. You are creating a strength of flow that shapes life to the path of least resistance, creating a cascade of beautiful power flowing forth. Positive potentials become form through your Fresh Focus. With effort (internal action) you create new neural pathways that continually support your Fresh Focus, new possibilities in your life. Your openness to potentials creates different chemical cascades within your system. Your physical mechanism creates new reactions within. Your physical system begins to flow with new ideas, new energy, new endurance. It is most often subtle at first, so you must support your own path of change with an openness to your possibilities. Your potential is infinite. Allow the path of least resistance to show you more ease, even through change. The water does not resist the rock, it merely responds to the change in direction and patiently reshapes the rock as appropriate. That which is fluid and soft can change a rock by mere flow with the possibilities. Dear one, Fresh Focus is what you offer to Life. You create a new pathway for Life to flow through. It begins within you more easily as you are less rigid with change. To enhance your Fresh Focus and flow well with change, you are creating an openness to the challenges of Life. It is easy to flow when things are easy, continue that flow. But when Life seems to resist you, seek the path of least resistance within. It is a strength of knowing your ability to reshape life for the best flow. Not dominating Life into compliance with your will, but enjoying the flow of discovery that Life seeks through your joy, your creation. 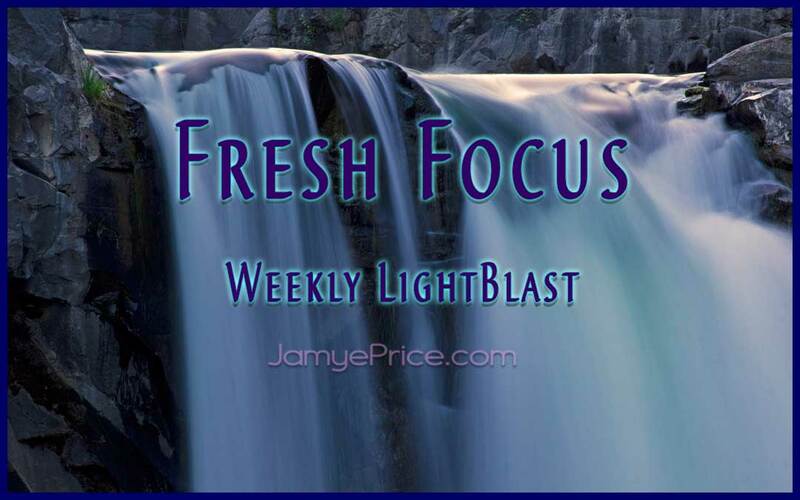 Your Fresh Focus is the nourishing water that supports growth. What seeds are you nurturing into creation? As we sit to Blast Fresh Focus, we are healing resistance within by letting go of fears and dramas that that bind us to past patterns. We are flowing easily with our path of Life, knowing that change occurs with our balance of acceptance with the present and focus of the future. We are releasing resistance to opposition and focusing Love on creation, as we shift direction or pause to find a new resonance within. We are boldly Loving Life, emanating a resonance of peace that weaves change into the fabric of the future of humanity. Blast on! In previous cycles, to shift the consciousness of the Soul-Spirit in this same way, we would require another identity and body to incarnate into another timeline that existed in another station of reality. This process we have done many times before and it is described as reincarnation. 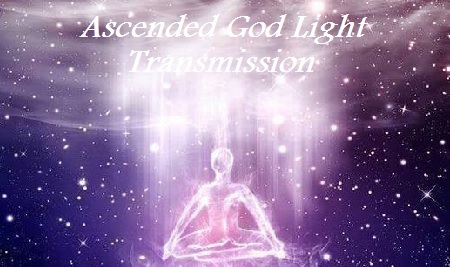 During the Ascension Cycle, we have the unique ability to change the current location of our consciousness bodies, as we undergo a succession of spiritual initiations, while we have the same physical body. The accumulated memories of our Soul-Spirit intelligence streams that we have transformed within many other previous lifetimes, are being shifted out from their former location in time, as the state of our current identity and consciousness shifts. This can also be described as a mass human Soul body retrieval that is returning to populate the earth body, to be reclaimed by the physical bodies or the individual people that they actually belong to. Many people on the earth who are not awakened at this time, have aspects of their higher self that have been stuck in some damaged area of the earth body, from previous timelines where great trauma and cataclysm had transpired. As we change the location of where our previous station of identity and Soul-Spirit body had existed previously in the time field, it requires some Adaptations in order to acclimatize our physical body to these changes that are impacting the Collective Soul and the planetary consciousness structure. Humans that can more easily adapt to the current myriad of environmental challenges and energetic factors, are undergoing types of Adaptationsthat are catalyzing physiological changes. The physiological changes are designed for deep and powerful consciousness transformation to be possible within a physical body on the earth. In some circumstances, as the physical body undergoes physiological Adaptations, these changes catalyze more of the metabolic, organ and glandular systems to activate or wake from dormancy, in order to prepare for the spirit to inhabit the body. The Adaptations are connecting through the bodily systems to increase vital force circulation, which facilitates connection into the spiritual-energetic circuitry. Many energetic circuits and meridians on the planet have been disconnected or damaged. As a result the main forces that exist in the human body, the life force, physical vitalities and spiritual energies, were not interconnected or functioning properly. 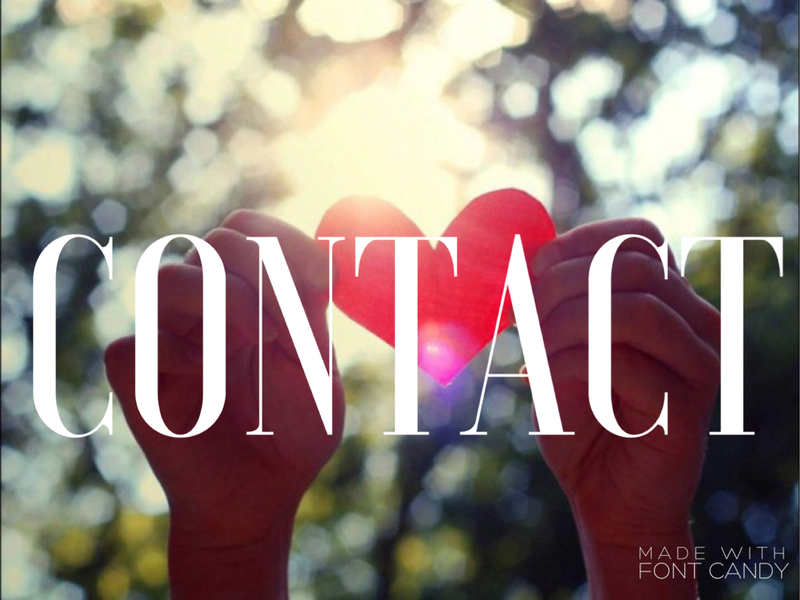 This has contributed to the overall disconnection and lack of communication between the higher spiritual bodies and the physical human body, which impacts the entire human race. The physiological Adaptations that are influencing humanity are in response to the series of biological and spiritual evolutionary markers that are profoundly impacting the planetary architecture, planetary elementals, and the earth element itself. The combined changes are further impacting the human phenotype as it has been documented within scientific consensus. The human race phenotype is a generalized expression of characteristics and traits influenced from the combination of the genetics, behavioral and environmental factors, as well as the variety of influences stemming from the collective consciousness. Science does not include the many factors of artificial intelligence, genetic modification and mind control, playing a direct role in shaping and controlling the traits of the human phenotype. The human phenotype describes the physical characteristics and traits that define the species of human beings. As we transition from one root race to another, these species factors, such as the physiological functions of the human body, are rapidly responding to the massive alterations that are occurring in the earth body. This means that the collective human blueprint and human bodies are responding to the impending biological evolution that is required as a result of the planet’s structural shift. The current evolutionary pressures are causing (energy to form) anomalies to occur, especially within many environmental and physical factors. This new consciousness platform requires specific physiological Adaptations to the genetic changes that are occurring in the human race, in order to acclimate to the new set of conditions and energies that we are being further exposed to, as they are related to the human evolutionary process. Those awakening now are in the forefront of embodying these Adaptations as they are the consciousness bridge spanning into the future birth cycle of the next root race of the human species. The thought paradigm must shift so that our species is able to acclimate to the new energy platform, which essentially is creating a new energetic terrain and new earthly habitat. Our species is evolving into the next progression of root race, and the body we inhabit now is a hybrid. It has the ability to spiritually evolve and transition into the new root race DNA imprint with the support of the planet’s new consciousness structure. Essentially, we are the last generation of people that will have known consciousness slavery, and will have put an end to it in this lifetime, while in this physical body. This also changes our consciousness interface while we are on the planet, which forces us to adapt and find new ways of communicating with the earth, and our connections with Star family. The architectural changes extend to include areas connected as portals on the earth, leading into off planet structures that reach into the Solar System and beyond. All communication systems connected to these levels of planetary architecture are undergoing fluctuation, reconfiguration and it appears to be re-building interstellar links that reconnect earth portals to realign into multiple star systems and celestial bodies. Some of these platforms being built are for the purpose of transiting out many inhabitants that have existed in the space-time areas on the earth that must be moved somewhere else, and as a result are undergoing space-time reorganization at the end of the Cosmic time cycle. The subatomic particles of elemental matter are re-arranging within the new atomic structure that is in the process of being built to support the planetary body shift into the next harmonic universe. Subatomic particles are particles that are much smaller than atoms, and describe particle shifts at the quantum scale of matter and energy. Subatomic particles, such as electrons, protons and neutrons, make up atoms and are the building blocks of matter. As subatomic particles rearrange, it stimulates ionization of atoms which produces electrical energy and a series of chemical reactions in the body. The human body when subjected to strong electromagnetic signals, or activated Kundalini, is capable of biological ionization that can generate plasma fields. In the ascending human body, ionization produces higher frequency plasma light for continuing to build our liquid plasma spiritual body. 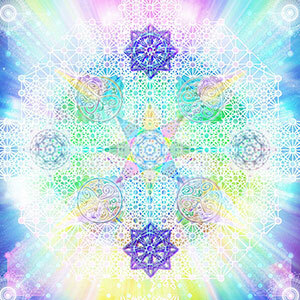 Eventually, we evolve to the point that we shift out from the chakra configurations in the lightbody that exist in the lower creation realms, in order to build a plasma lightbody structure. This structure (merkaba) is for a traveling orb body that can house our higher plasma consciousness. This state of lightbody structure, chakras or orb body, signify the difference between reincarnation through the lower densities of space-time, or being freed from the lower constructs of space and time that allow our consciousness body to travel beyond the Solar System. The planetary elements of earth, water, air and fire are the fundamental building blocks of nature and form into compounds that make up our physical body. If we recognize our physical body is made up of these elements, particles and atoms, and our light body is made up of consciousness units that exist at an even smaller scale, and those quantum units are generating new levels of photonic or plasmic energy, then we realize that our entire consciousness body is undergoing a massive change at the quantum scale. This massive shift at the quantum scale is changing the laws of structure in the architecture that governs function over our matter body, as well as our consciousness bodies. Ascending humans are evolving into developing new abilities that change the characteristics of what was previously thought to be a human. Adaptations are occurring so that our higher consciousness intelligence can exist in matter, and simultaneously, we can experience multidimensional awareness in other timelines, yet be as unbound to time as plasma waves while travelling in the field. This is comprehending that our human energy field and physical body is reaching a new threshold of consciousness experience, through which we can directly experience the mechanics of wave and particle duality, happening in our body simultaneously. This was always functioning in our body at the quantum level, but we now can recognize and participate with that function in our consciousness, as its happening. We are form and we are formless, simultaneously. In this new structure, we are able to experience our consciousness body as formless, shapeless, and moving through time functioning as a wave, while our physical body form is connected to earth and still functioning within the principles of matter. Ascending humans are becoming aware that both states of being, formless and in form, are possible to exist within simultaneous or spiral time, and as the conscious observer of time, we can still remain unbound to the station of time and its constructs. As an example, in meditation or consciousness transport, we are experiencing another level of timeless, formless, and flowing movement that is unbound to space and time, in which our consciousness may more easily time travel or bi-locate. The lightbody becomes free from the constraints of time and space to more easily time travel. 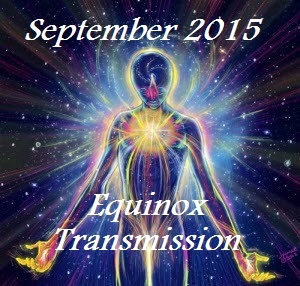 When time travelling or dreamwalking we can merge our consciousness body with the available consciousness energy to generate more plasma substance, uniting with the manifestation of new structural supports, such as holding pillars, Stargates and portals that help the earth and humanity to evolve in the Ascension timeline. The Diamond Sun consciousness body has the capacity to function as its own Stargate, from the inner space, quantum level, where the consciousness transforms into nonvisible waves of light and travels great distances very quickly. For those that have embodied beyond the soul matrix and into monadic consciousness, this new sensation of the change of quantum scale and properties in the function of one’s consciousness energy, will be experienced in much more tangible ways. Something intangible that is occurring in the quantum of our own body, is gradually becoming more tangible and substantial in the physical. The consciousness body is adapting into new functions that provide structural supports for the planet outside of time, and to bridge for the genetic tribe or group to which we are connected, to achieve higher consciousness attainment in this ending cycle. For those that are newly awakening, and beginning to embody the soul and chakra functions, this macrocosmic structure will not yet be apparent. The primary focus for those Soul groups will be to work on self-mastery over the lower chakras, and to develop the foundation of the structure for the inner spirit to fully inhabit the physical body. 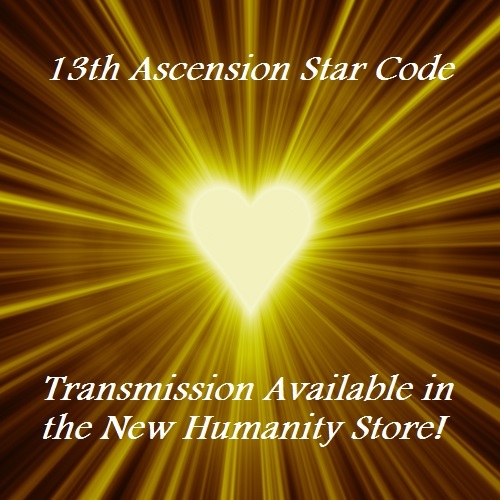 This is very important, as for many multidimensional people on the path of Ascension, this means how we connect into many levels of the consciousness structure has radically changed, our lightbody is radically changing, and our physical body is undergoing a series of adaptations in order to meet the new energy requirements. Our body may feel different and exhibit strange symptoms. Our previous ways of consciousness connection and communication are in fluctuation, while our lightbody is being reconfigured to accommodate the changing planetary architecture, solar architecture and beyond. As the quantum field impacts the organization of space and time, those of us on the Ascension path may be more easily entering altered consciousness states that could be defined as dreamwalking. In this definition, the function of dreamwalking is not entering or interfering with any person’s dreams. 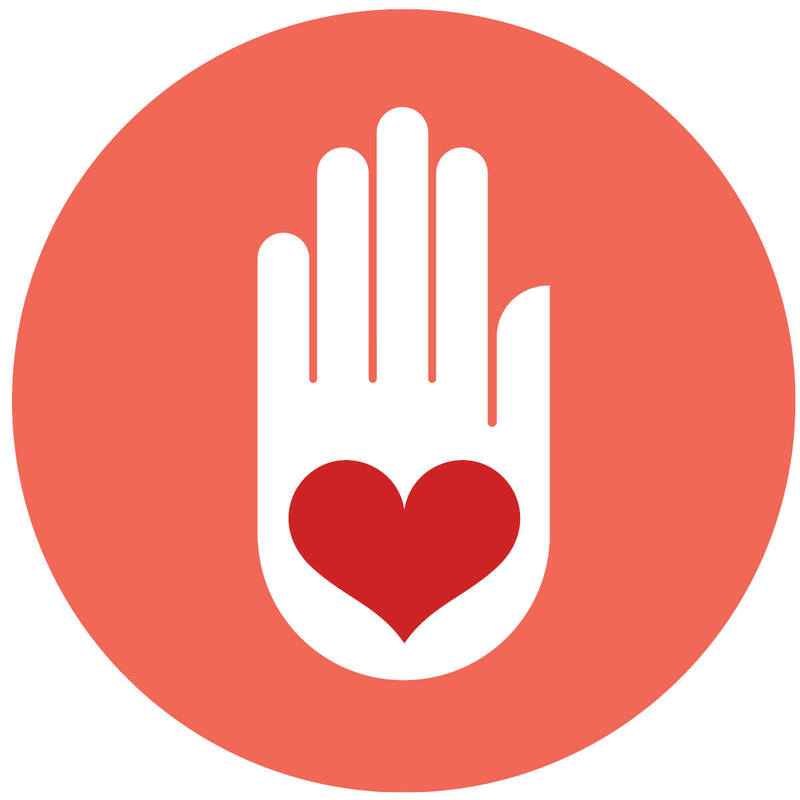 As a spiritual initiate, when dedicating our consciousness to serve unity, while on the path of earth service, we discipline ourselves to master states of compassionate selflessness. We are connected, listening and feeling into our internal guidance systems at all times. This means we are mindful of the direction of our consciousness energies, and we work towards transcending our thoughts beyond personal material concerns, rising above the many pitfalls of the negative ego games played in the material world. As we develop ourselves spiritually, and the inner inspiration to be of service increases with greater passion, many of us will find ourselves in the dreamwalking or remote viewing consciousness state in more spontaneous ways. Gridworkers are often engaged in a variety of forms of consciousness transport, in order to hold observer point and witnessing of the events recorded in time that have occurred in the past or future, to impact the histories of the human race evolution on the earth. The act of observation collapses certain wave potentiality that makes a situation, event or object become physical or change in ways that shift the timelines, and this is not measurable by current science. It is a direct function of higher consciousness embodiment to shift timelines from destructive probabilities or annihilation, by restoring harmony and energetic balance between the polarities. 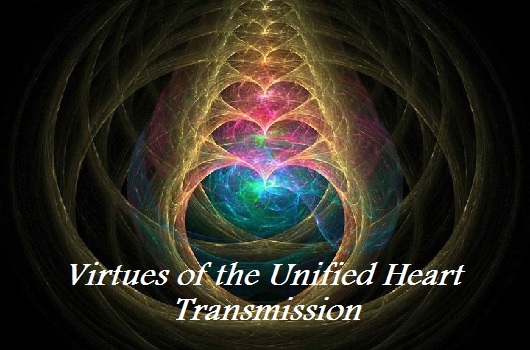 When we observe electromagnetic wave-forms, archetypal patterns and the creational myth or dream symbols active in the field, we can change the physical environment and how that electromagnetic signal or pattern is being expressed in the manifest. 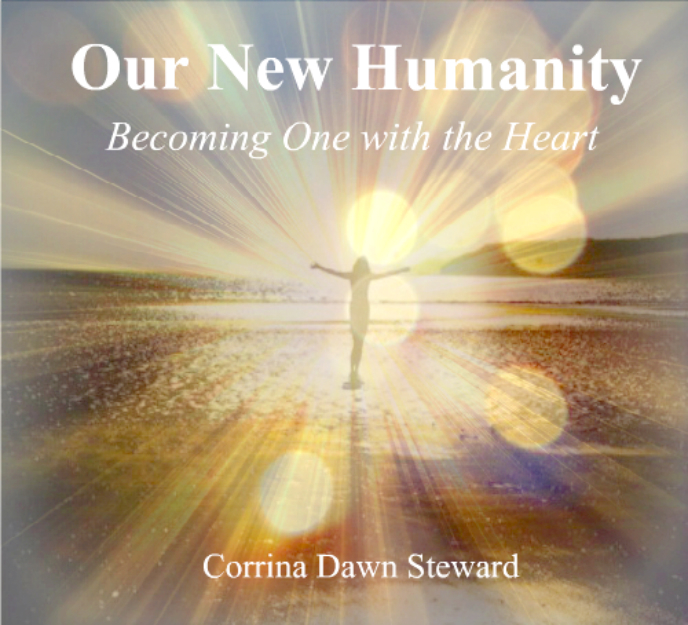 The act of compassionate witnessing during consciousness transport, such as dreamwalking, allows us to witness what has happened to the earth body, where the earth was damaged, and the blueprint content that influences the direction of the collective consciousness of humanity. Where the earth has been damaged, is also the location of tremendous amounts of human pain that is stuck in that area. As a result of this trauma, the accumulated collective human soul pain has been made into energy harvesting stations for the NAA. While dreamwalking the earth timelines, we are able to source the origin of who, what and where in the creation stories, the dreamtime narratives or creational myths that are recorded in that section of the planetary body and its network. Sometimes, we can track the transmission source to off planet structures, like constellations, messier objects, planets and other astronomical bodies. The collective human race is directly impacted by that content transmission, such as creation myths, archetypes, numerical coding, and mind control frequencies, which get recorded into the blueprints and timelines of the earth. As has been described, many of the planet’s morphogenetic fields were abused with inserts of alien code used by the Controllers for mind control programming, to promote collective archetypes that control the minds of the people on the earth. Essentially, this combination of archetypal patterning for exerting control over the minds of the people, has manifested distorted behavioral human phenotypes, where traits belonging to the reptilian and refugee races have been imprinted on the human population. Transmigration: This is the third and final stage of developing full consciousness freedom. This is similar to the process of translocation, however, the person does not have to come back to the earth at all. Now the person can go anyplace in the Cosmos that they choose to go without limitation. (However, if they go to another planet, they will be subjected to the laws of that planets inhabitants). This is the status of having a cosmic identity and being a full Cosmic Citizen. This has been accomplished a few times on the earth historically, but the current planetary miasma mutations can make this very hard, although it may become easier in the future. Transmigration is one way to describe what it means to be free. That when we project our consciousness body out, we don’t have to come back to the earth, nor do we have to incarnate back here. In order to be able to achieve a full transmigration of our consciousness body and physical body, we must have released the miasmatic record and the cell we inherited from our biological parents. There is a cell that is carried from the family of origin that is recorded into the physical body at birth that was inherited from the biological parents. It is a cell that was created in the chromosomes at the time the egg and sperm of our biological parents united. 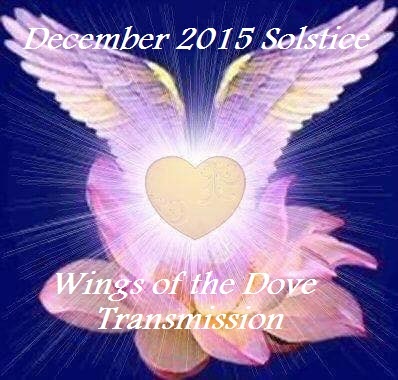 This cell becomes a part of the seed of the physical body that we are incarnated in. Once the family of origin cell is freed, it gets cleared from the body, and as it releases, it vaporizes. At this point of transmigration, the person is now a Cosmic Citizen. They may hold memories of being on the earth, but their identity isn’t necessarily that. This third stage is something that is very special, unique, and specific to the Diamond Sun body and Krystal Consciousness in order to achieve full sovereignty and spiritual freedom. As a result of the structural and architectural changes influencing the earth body, the earth element and earth substance as a raw material, for matter forms is also transforming. All planetary elements are shifting, however, the relationship that the earth body has specifically connected to the spleen functions, has direct relevance to the current transformation impacting the emotional body and the blood production in the physical body. The spleen governs transportation and transformation of what we consume, into energy that builds and protects the blood. The blood holds our entire consciousness record blueprint. As such, this is entirely related to the main shifts that are occurring between our higher consciousness as it translates into our physical body into the blood stream, as these records are beginning to circulate and connect into the physical body differently. The Wounds of Christ are karmic blood miasms recorded in the planetary body and collective human body from Crucifixion Implants that were holographically inserted into the planetary brain. These inserts misdirected and stole the planetary life force and crucified the human body parts belonging to our spirit. One important area of the human body that was impacted from the planetary inserts was the Spleen implant, located on our 7D axiatonal line, in the left side ribcage. These false crucifixion stories and holographic inserts are how the planetary collective mind was invaded, to reflect the salvation model of a crucified deity, to spread organized religion. This represented the enslavement of humanity to recycle their Souls from tainted blood and blood sacrifice, which is what the crucifixion story actually is. The current evolutionary stage is impacting the release or surfacing of these human blood records and their histories, and as a result, there is a detoxification and shift occurring in our blood, and potentially, the full release of the spleen implant. The human spleen was dormant from implants that prevented it from regenerating our red blood cells and protecting the white blood cells that record our spiritual consciousness memories and histories. The spleen’s higher function is to protect and spiritualize our blood, to nourish our blood and to circulate that spiritual essence in partnership with the heart, to communicate that essence into the other organs through our blood. The spleen is responsible for the removal of old red blood cells, and the production and storage of white blood cells, which cleanse infection from the blood. The spleen is directly related to healing tissues, repairing cellular integrity, keeping muscles strong and nourished, and managing the immune responses throughout our body. The spleen is functionally equivalent to a large lymph node that focuses on cleansing our blood and supporting immunity from invaders. Blood diseases and related issues from the cleansing of the Wounds of the Christ as they are surfacing from cellular memories, may be clearing out and removing crucifixion blockages, and this can manifest into related physical symptoms. 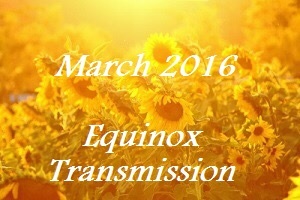 All that is related to protecting and nourishing our blood is especially relevant at this time. The main five organs as defined by traditional Chinese medicine, the liver, lung, spleen, heart and kidney, may need extra care and attention. This imbalance can escalate many physical and emotional issues for the people of the earth, as their body and sense of identity in relationship with the earth element, is greatly fluctuating and transforming. When we are out of balance and feeling disharmonious with the earth element, we feel extremely depleted, drained, and emotionally unhappy. Traditional Chinese medicine considers that the Spleen is one of the most important organs functioning within our body. When we consider the higher functions of the spleen as designed is to purify, protect and spiritualize our blood, and that it was crucified in the earth element by the NAA to stop its proper functioning in the human body, then this has direct significance and spiritual importance. Reflecting on this relationship to see if there is resonance in our own body may be helpful to reveal ways we can better support the physiological changes that are occurring in the planet, that are impacting the earth element of our body. Our relationship with food, consumption, and energy management is also changing, and some of us may feel pain or over sensitivity in the solar plexus region from being unable to digest our food, unable to digest our reality, while feeling unable to process the amount of intense emotions we feel. This impacts the stomach and spleen from being able to transform what we do consume into proper nourishment and circulating them into vital forces that the body requires to stay strong. When the spleen and stomach suffer damage, food and drink stagnate and do not transform, the mouth loses its ability to distinguish flavors and the extremities feel limp and tired. Discomfort, bloating and distention are felt in the stomach and abdominal regions, symptoms of vomiting and diarrhea appear, or there may be excessive bleeding. Many chronic and difficult health problems such as edema, chronic fatigue syndrome, insomnia, hair loss, iron deficiency, irregular periods, infertility, can be due to a disorder of the spleen function. This pattern is very common in our culture, not only because of the spleen crucifixion implant, but also because of the culture of disconnection we are subjected to. As well as the excessive thinking high stress and irregular eating habits that are a result of our busy daily schedules. During this phase, it may be supportive to the overall functioning of the body to consider ways that you may directly learn how to support your spleen’s higher function, as it is coming online. The spleen is the center of transporting the energy of what’s processed in our stomach, into our blood and transforms that into healthy vital forces that the body can use to regenerate and strengthen itself. Western medicine does not consider the spleens importance at any level, and thus, researching traditional Chinese medicine that understands the spleen as an essential organ for our body’s health, and agrees with the fact that everything is interconnected with energy, may be much more productive. Blessed Beings, as you observe your world, you are creating a structure of interpretation and interaction. It is important for your internal structures to be fluid, adaptable, and trusted. All humans begin by an influence of those around them. This is appropriate. It initiates an understanding of external points of view and connection. It blends the inner self and the external others. As you develop and age, you shift your focus of external influence. That may be from family to peers, from peers to colleagues, or any combination of external groups. Without effort to individualize, you would maintain a semblance of your internal structure, though with much influence from those around you. The skills of discernment will mainly be based on past influence rather than the moment of interaction. This lack of internal trust and discernment creates a need to dominate in some and a need to follow in others. With effort, you are able to hone your own discernment in the moment of interaction and utilize your full senses of interpretation. You may not have outer proof, but you have a trust in the self to discern clearly and continue to react in each moment as new information is presented. Your interactions stem less from obligation, and more from personal choice. You feel less of a need to dominate others or to defer to others, appreciating the perfection of your choice in the moment—whether it is enjoyable and easy or not. You may have observed an influx of children that you have termed Indigos that seem less malleable to outside influence unless their internal structure agrees. That “Indigo” potential is strong in some (even adults) and less in others. These incarnations have not occurred because humanity needed them, they have occurred in response to humanity because your point of evolution was ready for them. Even those you term “Crystals,” “Rainbows,” or “Starseeds” have incarnated in response to the point of evolution humanity has created. Perhaps you know these characteristics within yourself. This exciting time is about your evolution into such internal empowerment as an individual that the collective is changing to match your resonance. 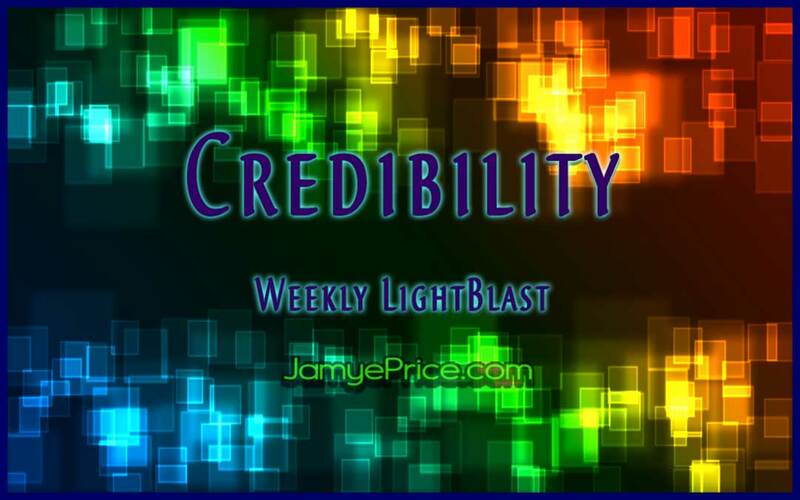 Here, yourCredibility becomes paramount, not for others, but for yourself. One is Credible when their actions match their words, when intent comes from a balance of inner knowing and the joy of discovering the unknown. One is Credible as the ease of not knowing is opens them to connection, discernment, and inner trust—the path of expansion. It would seem that it is important that others are Credible. 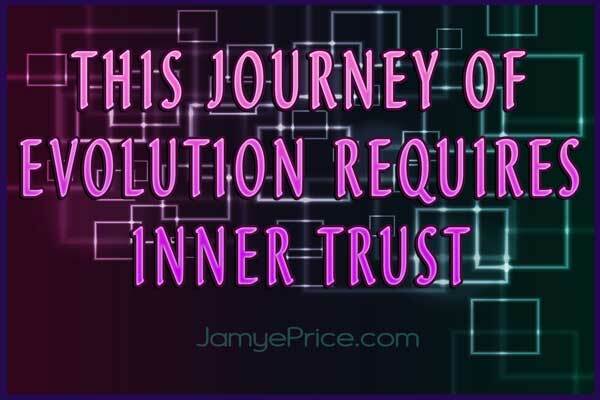 Yet this journey of evolution into empowered connection truly requires the trust of the internal structure in order to interact from a balance that does not seek power over or under. As you hone your Credibility within yourself, you are enhancing your internal structure of interpretation and interaction through a nurturance that fosters easy growth. As this internal resonance increases for humanity, the external response will evolve as well. To determine your internal Credibility, your trust in yourself; slowly repeat these phrases and notice your subtle feelings with them. If you feel strong and free with them, your Credibility is at a wonderful point for your adaptability. If you feel any doubt or lack, repeat them slowly each day until they feel consistently strong. Just the mere interaction with these intents helps you release energy that is not resonant, and helps you initiate your inner Credibility. As we sit to Blast Credibility, we are enhancing our connection with All Life as we trust the Self to interact with empowerment. We are feeling freer within, for the outer world does not dominate or manipulate the inner world. We are instilling a sense of self-respect that teaches through choice, changing the fabric of interaction for humanity. We are strong and wise, trusting the self to choose and react based on the present moment, feeling enhanced by the past and ready for the future. We are the inner strength that nurtures Life through the joy of choice, seeing the sacred in All we encounter. Blast on! The momentum of energy has been building, in both our individual lives and in the collective. The winds of change are blowing through every area of our lives! It’s important to note that we learned great lessons from these old patterns. But we no longer need to keep recreating them to receive more lessons on that level. This shift can feel unsettling for the ego, because it’s a creature of habit. And we’ve done exactly that. Difficult conditions and limitations are no longer necessary. If you’re someone who has felt that there was some type of resistant force at work in your life, even though you were diligently doing your inner spiritual and re-connective work, you now know why. An annular solar eclipse occurs when the Moon covers the Sun’s center, leaving the Sun’s visible outer edges to form a “ring of fire” around the Moon.